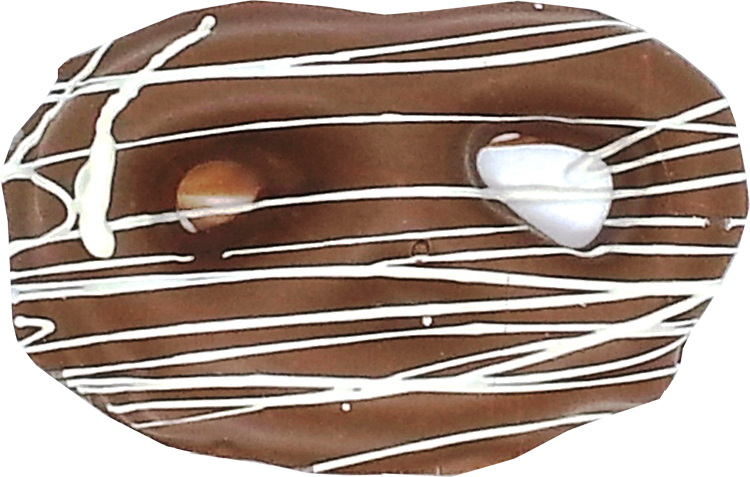 1.0 oz Large Double-Dipped Milk Chocolate Pretzel Twist Drizzled With, white chocolate. Made to order fresh in our confectionery kitchen. Bag is heat sealed to ensure freshness. Makes a great food gift or Up North Minnesota themed promotional giveaway. Includes up to 4 color process imprinted label attached to the front of the clear bag..
Also Available in dark chocolate.